Nigerian Biography: Biography of Tunde Folawiyo; Lawyer; Billionaire. 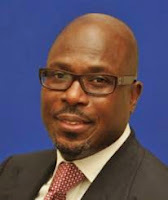 Biography of Tunde Folawiyo; Lawyer; Billionaire. served as the group’s chairman until 2008 when he passed away. Tunde Folawiyo, after his secondary education, attended London School of Economics where he obtained his degrees in both Business and Law. He subsequently obtained his honorary doctorate degree in Business from Crescent University, and was called to bar thereafter. Tunde Folawiyo practiced law with the law firm of Messrs Ogunsanya & Ogunsanya before joining his family’s business. Tunde Folawiyo is the managing director of the Yinka Folawiyo Group, a conglomerate with interests in agriculture, energy, engineering, real estate and shipping. A subsidiary of the company, Yinka Folawiyo Petroleum, an oil exploration firm owns a 60% interest in an oil block that contains the Aje offshore field. Tunde Folawiyo’s other assets include minority stakes in Nigeria's Access Bank and mobile phone company MTN Nigeria. Forbes Magazine in the year 2014, listed Tunde Folawiyo as the Africa's number 39th richest man.